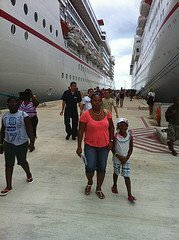 It is always probable that your family will find cheap Carnival cruises to the Caribbean. As a family man, whose family considers inclusive Caribbean cruises as their best vacation, I am always conscious about finding Carnival cruise discounts. The fact that Carnival Cruise Lines is the most popular cruise line offering family cruises, group cruise vacations, or even couples/single cruises to the Caribbean means something. As the largest cruising company serving Caribbean ports of call, Carnival is always able to offer the best prices to top Caribbean destinations. Yes, you can constantly find cheap Carnival cruises to your favorite ports in the Caribbean. My family has visited popular Caribbean ports such as Ocho Rios, Jamaica, Grand Cayman, Cayman Islands, and we were pleased with the fares we paid for five people. Carnival offers an Early Saver Rate. This is normally the best cruise rate. It is found by booking a 7-day cruise five (5) or more months before the sail date. Or, by booking a shorter cruise three (3) or more months before the sail date. The best thing about Carnival's Early Saver Cruise Rate is that if the cruise price falls up to 2 days before you sail, you can request a refund of the difference in prices. The refund is normally given as onboard credit, which can be used towards purchases on the ship or to offset the mandatory cruise gratuity that Carnival adds to your cruise bill. You can also grab Carnival cruise discounts by putting more than two (2) people in a cabin. If your family numbers three, four or five people, it is better if you put everyone in one cabin. Generally, the first two people in the cabin will pay the published cruise price and everyone else will pay less - sometimes less than half the cruise rate paid by the first two passengers in the cabin. Yes, I understand if your children are older and "packing" everyone in one cabin may be uncomfortable. However, wherever this is possible, I urge you to do it. You will save on your Carnival cruise vacation. You will find cheap Carnival cruises if you can sail during the fall months. Due to low demand, and the Atlantic Hurricane Season, cruise prices fall dramatically during the months of September through early November. If at all possible, book your Caribbean cruise vacations for that time of year. Another great thing about Carnival, and the reason you can constantly find Carnival cruise discounts is the fact that they sail from just about every major U.S. port to the Caribbean. 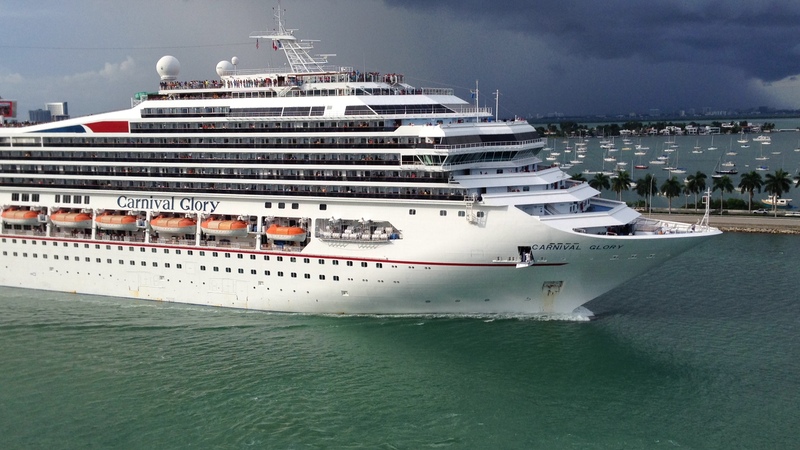 You can find Baltimore cruises via Carnival Cruise Lines, New York cruises, Miami cruises, Tampa cruises, New Orleans cruises, or Galveston cruises. Of course you can find Carnival cruises from other ports too. There are some ports where you will only find Carnival cruises and that makes it difficult to get a cheap Caribbean cruise rate. However, if you follow certain guidelines such as when to travel or when to book, you will get lucky. Personally, I prefer a bigger cruise ship. The "trouble" with bigger ships is that you pay a premium. 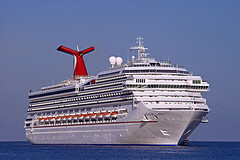 You can find cheap Carnival cruises more often on smaller Carnival ships. For example, a 5-day Carnival Victory cruise from Miami will always cost more than a 5-day Carnival Paradise cruise from Tampa. We have tried both cruises and had fun times on each of Carnival's Funships. However, we paid less on Carnival Paradise. 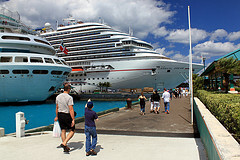 The reason: Carnival Paradise is relatively smaller than Carnival Victory. 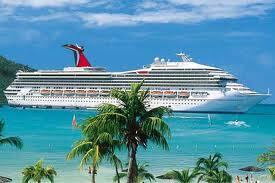 Finally, another great way to find cheap Carnival cruises is to book your family cruise with a Travel Agent. You might have seen Carnival advertisements on TV. Generally, they end with - See your Travel Agent. There are several reasons for this, but one main thing to note is: Some travel agencies or individual Travel Agents will often give you a bonus for booking with them. They also know which discounts or deals or currently available. Two such travel agencies are CruiseDirect.com and Petes Travel Center. Depending on when you book with CruiseDirect, they may offer a bonus in the form of onboard credit. Petes Travel Center will give you a $25 Restaurant.com gift certificate on any Carnival Caribbean cruise you book with them. You will get this token of appreciation, if you book your family Caribbean cruise vacation at PetesTravel.com. So, can you find deals on inclusive Carnival cruises to the Caribbean? Use the Search Box below to find great deals on Carnival cruises to the Caribbean. Here is something else to note: If you are traveling to Nassau, Bahamas (just about every cruise line visits Nassau), check with Carnival Cruise Lines first. Also, choose carefully - fall months if possible, or wait for a month before sailing (if you dare take the chance) and check to see if there are last minute drops in the cruise rates. If you are searching for Carnival cruise discounts, let us know by submitting a Cruise Quote Request. We will help you search. We hope that somehow you will find this information helpful and we wish you the best in your search for cheap Carnival cruises to the Caribbean.